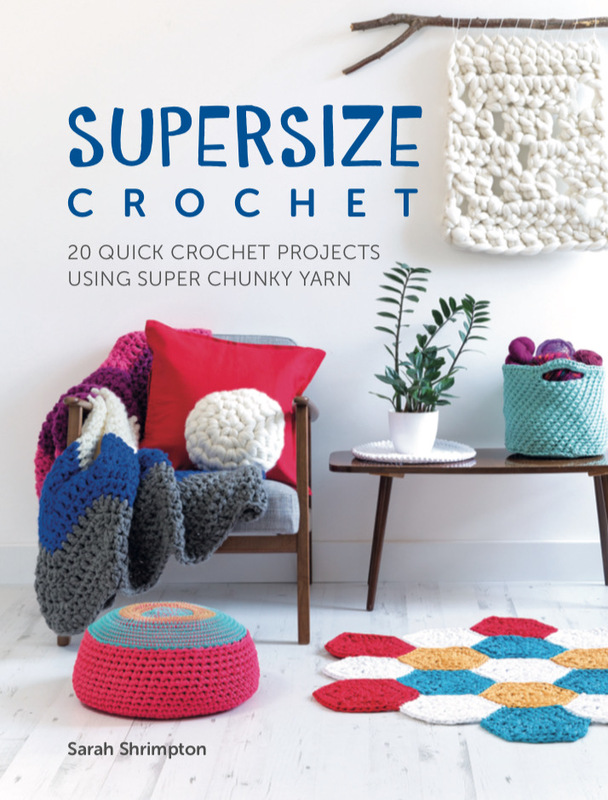 Those of you who have been reading my blog for a while will know that I am a chunky-yarn-lover. The bigger the better, in my opinion. 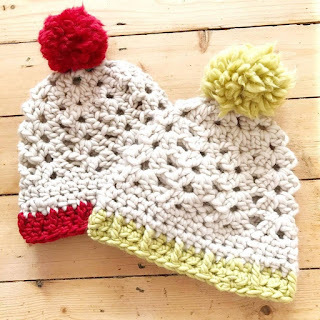 My good friends at Stylecraft Yarns are no strangers to chunky yarn and recently, I used Swift Knit for my slouchy hat in Supersize Crochet - I just loved the softness and warmth of the yarn and the way the different colours worked together. 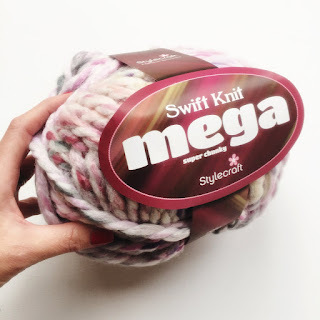 So when they launched Swift Knit MEGA and asked if any of the Blogstars would like to try it, I knew it would be a winner. And I wasn't disappoined. It's the same mix of 80% Acrylic 20% Wool, but in a huge 200g ball, with 70m of yarn and a recommended hook/needle of 15mm. My first experiments were with crochet, where I tried an easy textured stitch and I loved the result. 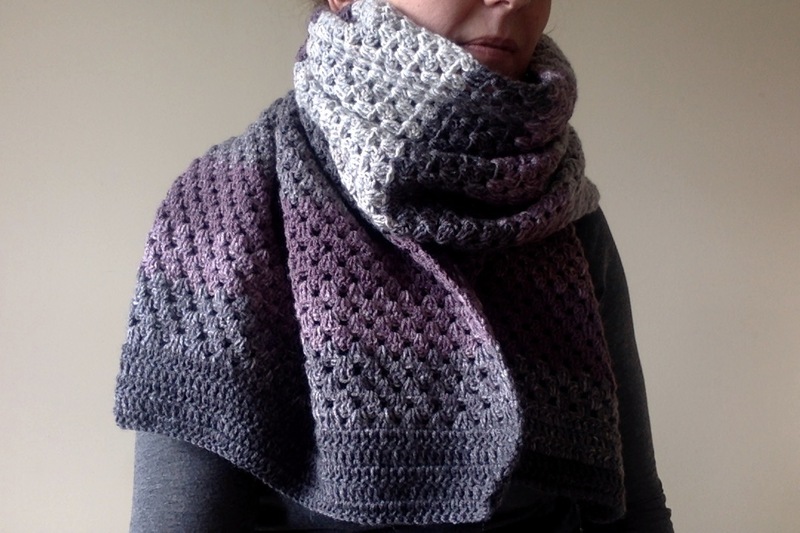 In fact, I adapted this slightly and used the Wedgewood colourway for a super-chunky cowl in Issue 97 of Inside Crochet magazine. Now, you might have noticed that there has also been a LOT of knitting going on here recently. I am loving the easy-knit projects I've been working on and, as someone who is still a novice in these matters, simplicity is the way forward for me. And so, when the kids asked for warm scarves, I knew exactly what I'd do with my Swift Knit Mega: knit them in one each in garter stitch. The Swift Knit Mega works beautifully in this pattern - I love the subtle colour changes and the squishiness of the yarn is just perfection. Plus, it only takes one ball to make a good-length scarf. 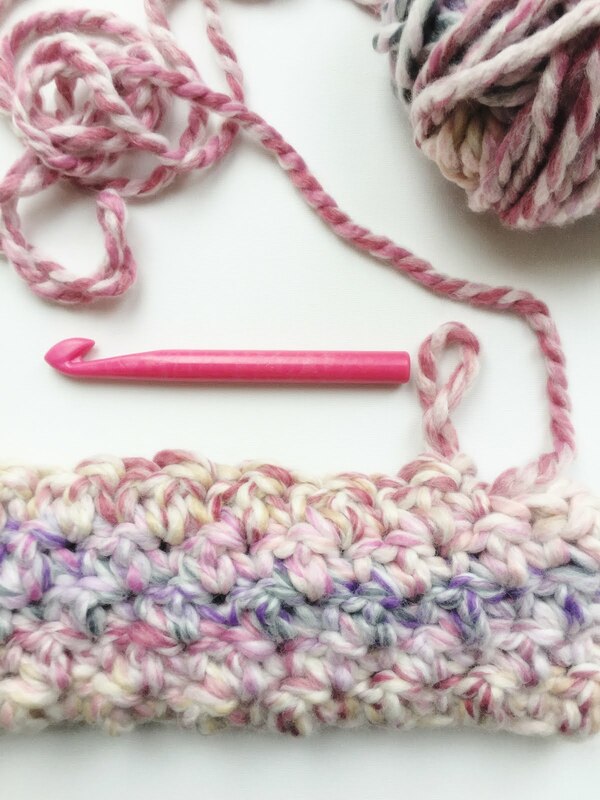 Knit every row until you run out of yarn, leaving enough for cast-off. 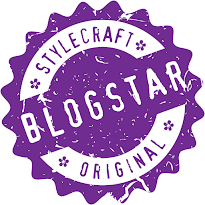 If you'd like to read more about the Stylecraft Blogstars and see what they've been up to, then follow the link. and it's perfect for lazy crafters like me who cannot bear sewing in ALLLLLLL the ends. Batik Whirl is a yarn-cake of loveliness. 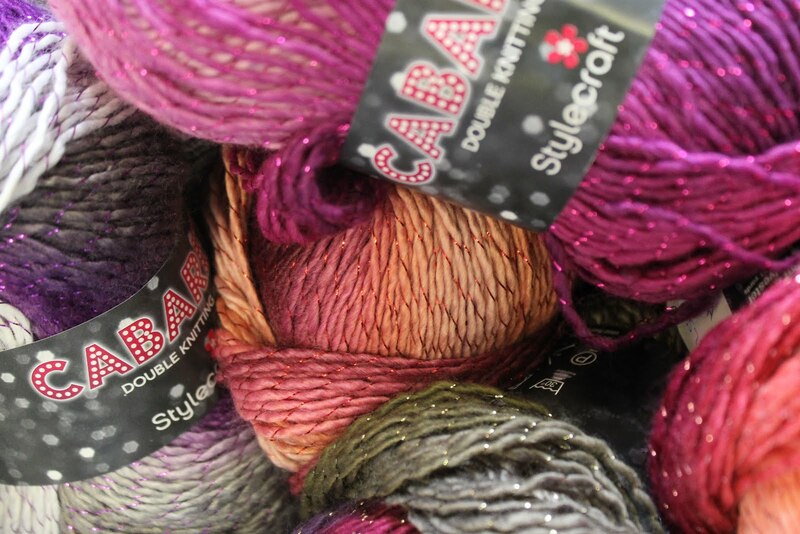 Stylecraft's Batik Yarn has been around for a little while now and I'm a really big fan, I have to say. 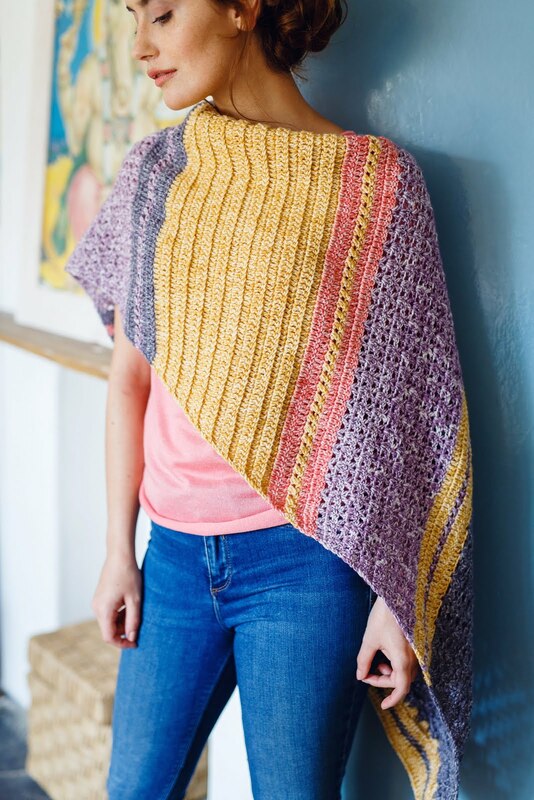 I recently designed a shawl for Inside Crochet Magazine using the Batik solids range and I enjoyed working with it - the yarn has a nice bounce to it and the stitch definition is great. The next release was the Batik Elements range. A collection with a different range of shades within a ball, designed to work alongside the Solids. Again, the same quality yarn with the same feel and effect. 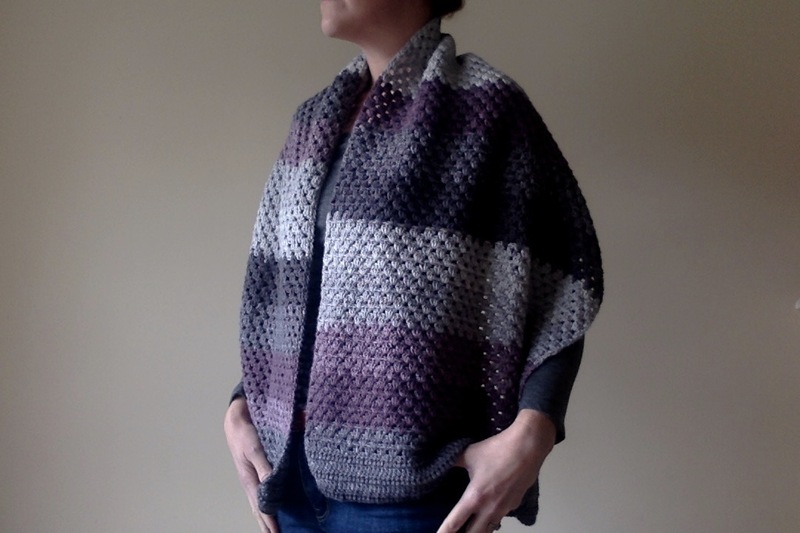 With this, I designed my Learn to Knit Shawl. And now there's the Swirl.... it's a big, 200g cake with up to five different colours, which are repeated and at the mo, there are six different colour ways. 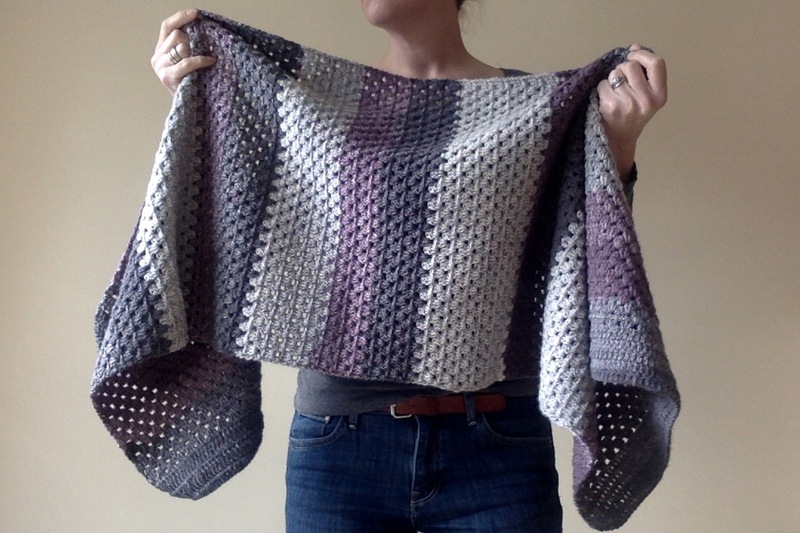 I chose Purple Mist - a collection of greys and purples and different to any of my other shawls, scarves or wraps. So I thought I'd make a rectangular sort-of half-blanket that you can wear as a wrap or a scarf. I designed this to be easy (cos I don't do difficult) but also to be the kind of project you can sit and make in the evenings, whilst watching your favourite thing on the telly-box. I made mine with two swirls (400g), but you could make a narrower version with just one - instructions are given for both. Row 1: beginning in 4th ch from hook, make 1tr in each st across, turn. 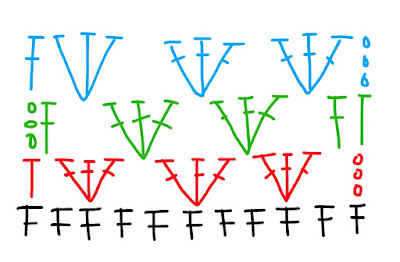 Rows 2 - 6: 3ch (counts as tr here and throughout), beginning in 5th ch from hook, 1tr in each st across, turn. Row 7: 3ch, 3tr in 6th st from hook, sk 2 sts, *3tr in next st, sk 2 sts; repeat from * until 2 sts left, sk 1 st, 1tr in last st, turn. Row 8: 3ch, 1tr in space before first treble cluster, 3tr in each space between clusters, 1tr in space after last cluster, 1tr in last st.
Row 9: 3ch, 3tr in each space between clusters, 1tr in last st. Rows 10 - 135: (approx): repeat rows 8 and 9 alternately. Rows 136 - 140: repeat rows 2 - 6. 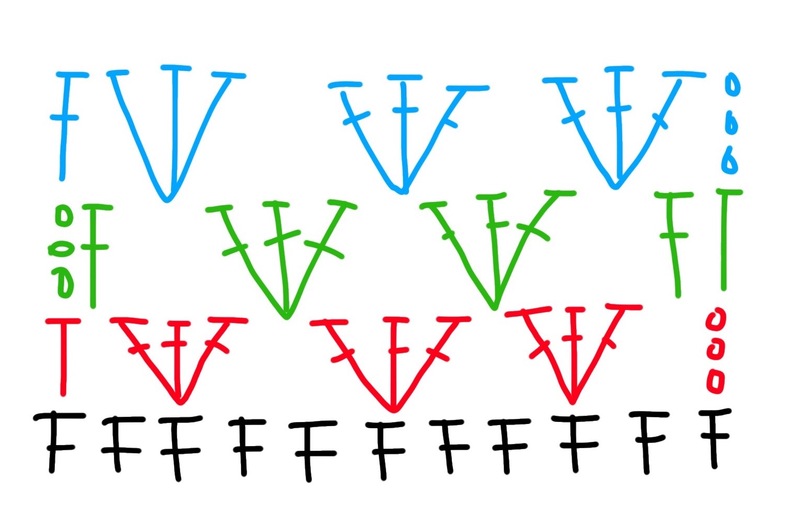 Row 1: beginning in 4th ch from hook, make 1dc in each st across, turn. Rows 2 - 6: 3ch (counts as dc here and throughout), beginning in 5th ch from hook, 1dc in each st across, turn. Row 7: 3ch, 3dc in 6th st from hook, sk 2 sts, *3dc in next st, sk 2 sts; repeat from *, until 2 sts left, sk 1 st, 1dc in last st, turn. Row 8: 3ch, 1dc in space before first treble cluster, 3dc in each space between clusters, 1dc in space after last cluster, 1dc in last st.
Row 9: 3ch, 3dc in each space between clusters, 1dc in last st. 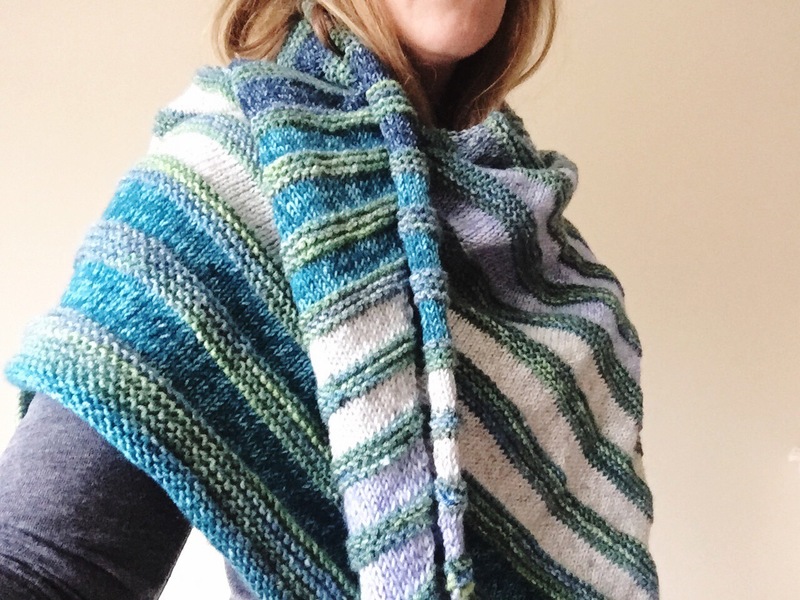 I just love this wrap! It's very soft and with the added wool content, it's really warm, too. 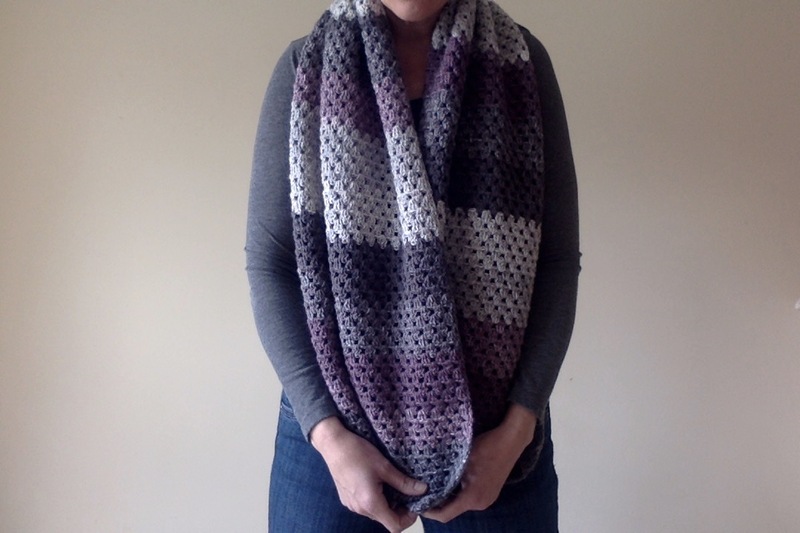 Perfect as a chunky scarf to keep out the chills when I'm out and about, or as a wrap-blanket (a wraplet?) to snuggle up with on those draughty evenings on the sofa. I'll draw it on Thursday 25th Jan 2018. Open worldwide. 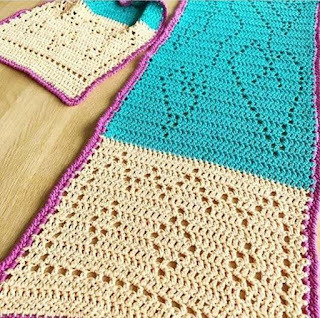 Hope you like the pattern and good luck in the giveaway! 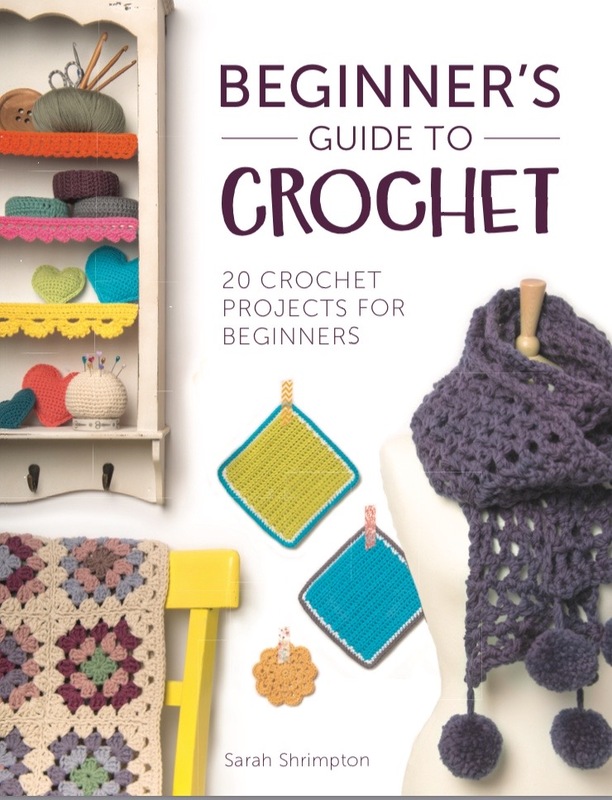 Now add to that endless crochet, crafty workshops galore, enough yarn to sink a ship, a thoroughly knowledgeable and convivial host and you're getting pretty close to something I'd call Heaven. And I haven't even mentioned the amazing food, luxurious bedrooms or the blimmin' good company of terrific like-minded gals I shared it with. 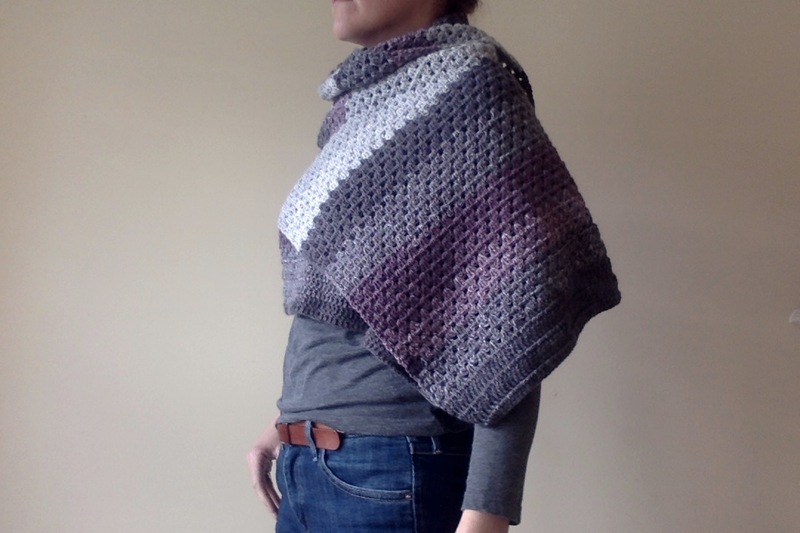 THIS, people is the Big Crochet Stayaway. A few months ago, I met the lovely Louisa of Komodo Krafts at the Knitting and Stitching Show at Ally Pally. You can imagine my utter delight when she kindly asked if I'd like to be a guest at the December weekend. Well, I nearly bit her hand off with my enthusiasm. A weekend away? Without the kids? With ALL the crochet? I could not say no. The Big Crochet Stayaway is the brain-child of Louisa. She lives in Hertfordshire with her partner and decided to switch her corporate career for something more crafty after the birth of her daughter. 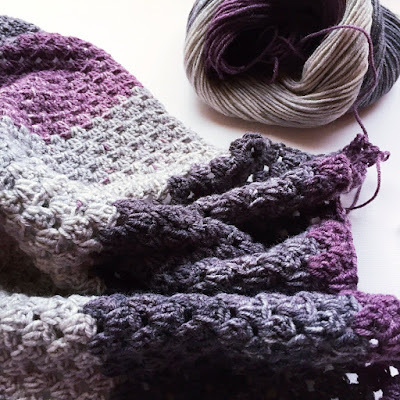 Within a short time, she began to run workshops and sell yarn and so Komodo Krafts was launched. 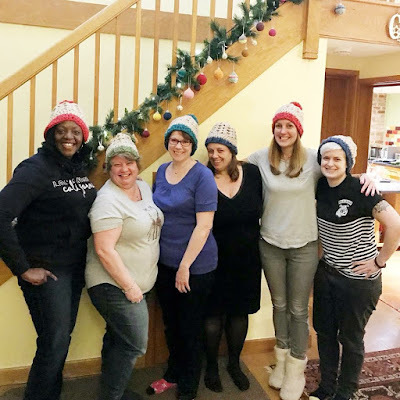 As for the retreats, Louisa says that she fell in love with the idea of spending weekends with like-minded crafters and as there wasn't anything in her local area, decided to set up her own. Now, for those of you who are a bit nervous about spending the entire weekend with a bunch of people you've never met before, you needn't worry. Louisa made lots of contact with us all beforehand, sending us a very full programme of events for the weekend and even set up a Facebook group so that we could chat to each other before meeting. And so, on the Friday evening, we all arrived at the barn for welcome drinks - and I have to say, the accommodation is absolutely spectacular. The barn is situated on a working farm and used to house the pigs! Thankfully, the only remaining porcine features are those in pictures on the walls. The living area is huge, with underfloor heating and plenty of comfy sofas and on the other side of the enormous fireplace, a large table for eating and working at. To the side of this are the huge kitchen, where our brilliant cook worked her magic and the large bedrooms, each with ensuite facilities. 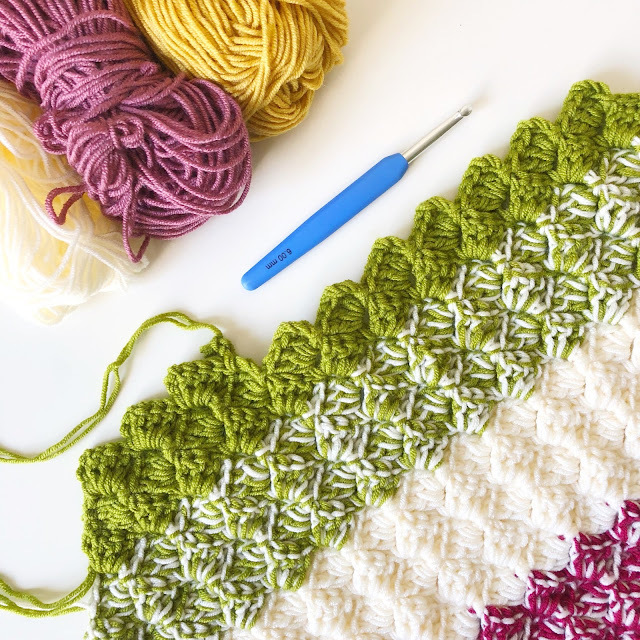 Once we'd all made our introductions and were settled with a beverage of our choice, Louisa showed us the weekend crochet project: her beautiful Holly and Ivy table runner. This project was designed to suit all abilities and Louisa, an experienced crocheter who was taught by her nan when she was little, was on hand to provide support and advice on all manner of crochet queries throughout the weekend. After a fab dinner, it was time for our first workshop - Spinning with Caz from Wulla. Caz is one of the Komodo Krafts team and is an indie spinner and dyer of big yarns with attitude. Now, I've never done anything like this before, so was totally enthralled by the whole thing. Caz is an amazing tutor and showed us how to spin using a drop spindle and then on her spinning wheel, which we were then invited to try. And if that wasn't enough, we we each given a goody bag with fleeces and our very own drop spindle. Saturday was a bright and beautiful morning and once a delicious breakfast had been consumed by all, we were joined by a day guest, who was immediately made to feel welcome and it was time for our first crochet workshop of the day and: another of Louisa's fab patterns -her Slouchy Sprig Hat. The next workshop was embroidery, taught by Ellen from The Sewing Alchemist, who arrived with the biggest, most colourful selection of threads I've ever seen, along with lots of examples of her beautiful and quirky pieces. 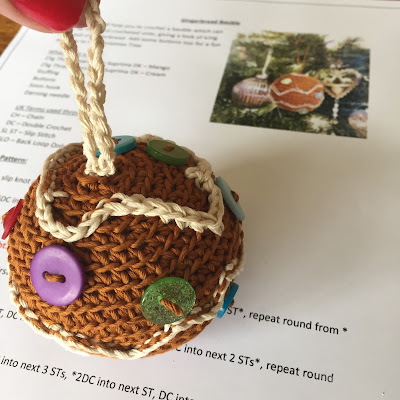 We were shown how to attach the fabric to the hoops and how to make the stitches over the template for our 'Merry and Bright' Christmas stitching. Embroidery is another craft I've never really tackled, but this was so enjoyable and very, very relaxing. And after this, there were even more crochet projects on offer to anyone who wanted to try - Light-up Neon snowflake, anyone? This is such a fun project (free pattern here) which we made in Bobbiny Cord and threaded through neon lights, which made them absolutely amazing. Yep. About a foot of snow. But this did pose some problems... it meant that our rag-rugging workshop had to be cancelled as the tutor couldn't actually get to us. 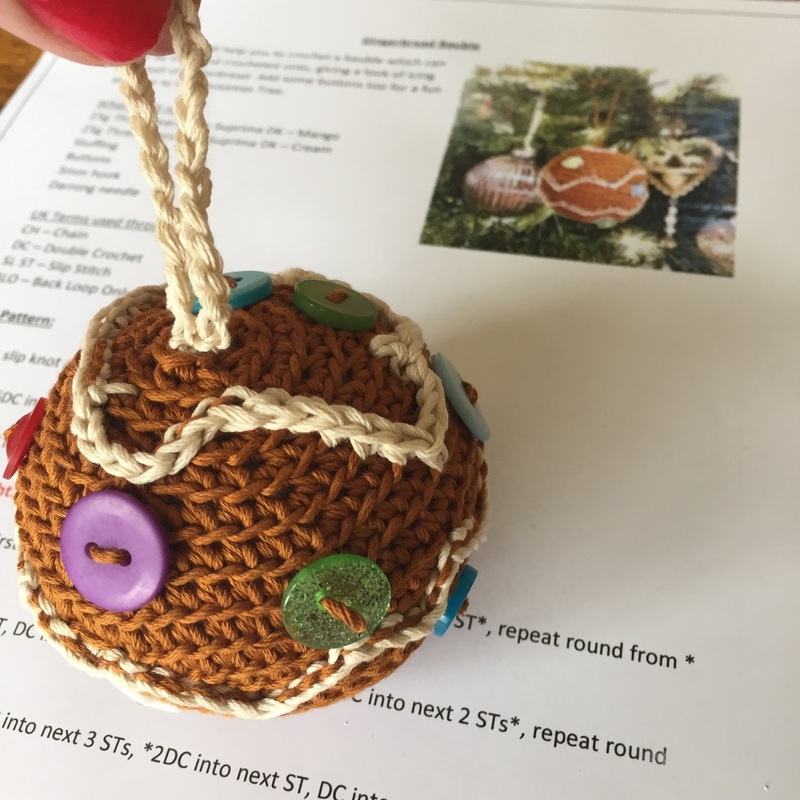 Not that we were worried - we had Gingerbread Christmas Baubles to crochet (free pattern here) tea to drink and good company to enjoy (and enough yarn to crochet ourselves warm jumpers, if needed). But sadly, the weekend had to end. And so after lunch, and a little earlier than anticipated due to the weather, we packed our cars with all the lovely yarny things, said our fond farewells and made our way through the snowy landscapes back to our homes. I have to admit, it was one of the most enjoyable, relaxing, fun weekends away I think I've ever been to. I felt thoroughly spoiled with the great variety of workshops, the generous goody bags (including hand-made stockings filled with brilliant presents) and the really fabulous company I spent it with. Louisa is a wonderful host who made sure that everyone was happy and her enthusiasm for crafting and crochet is infectious. If you're interested in attending a retreat with Komodo Krafts (and I thoroughly recommend it), or attending a day workshop or organising some private tuition with Louisa, then check out here for details of all events.